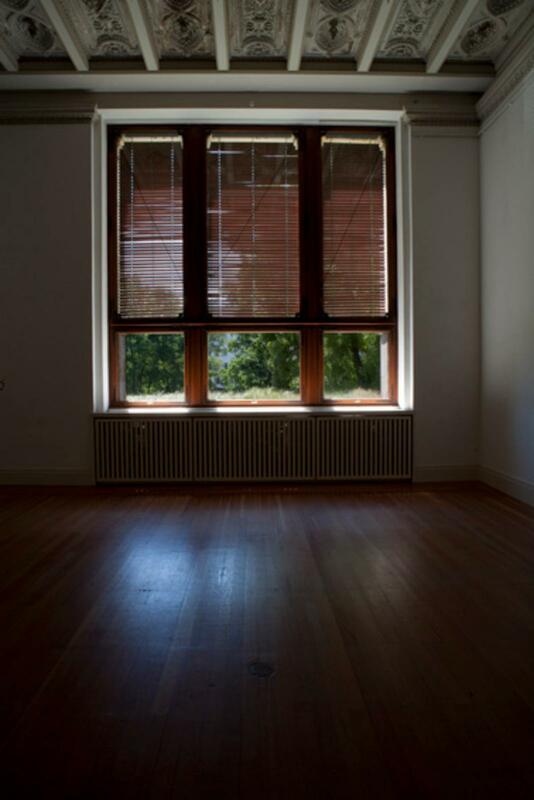 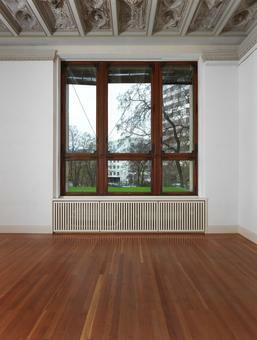 A completely empty room wherein there is nothing to see except a southern-facing window. 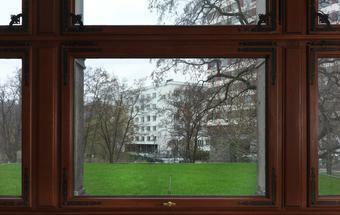 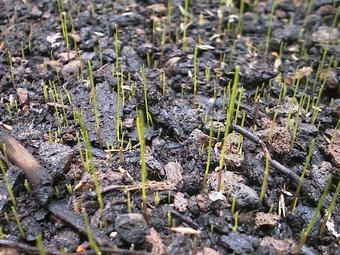 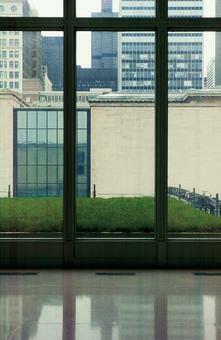 As visitors near the window, they see green grass - 'Succession'. 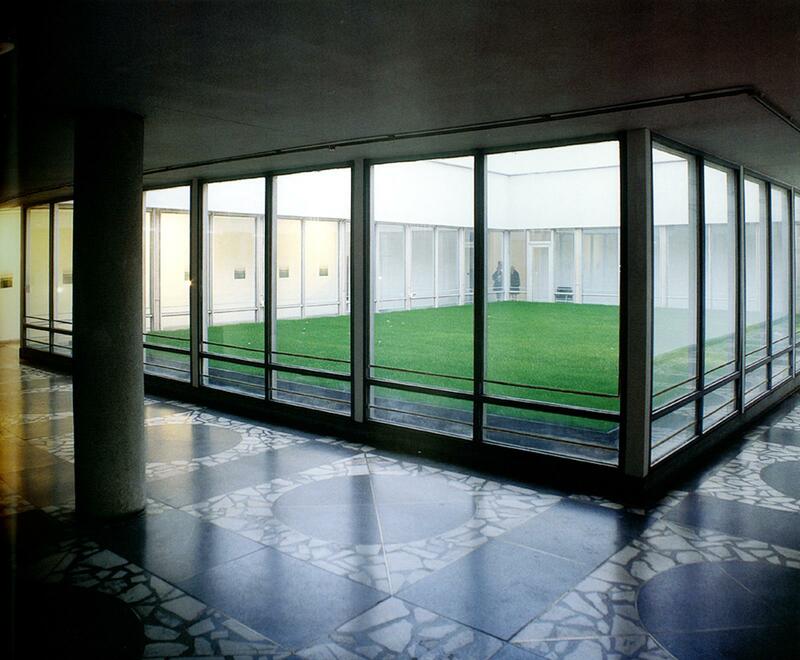 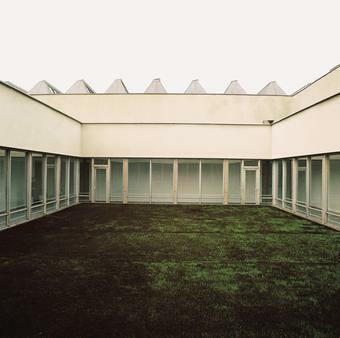 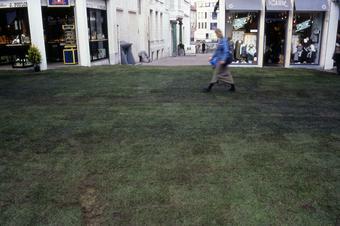 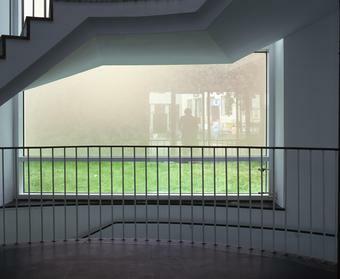 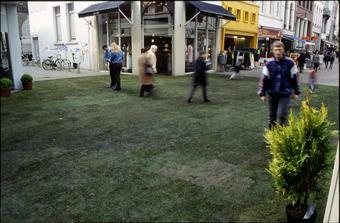 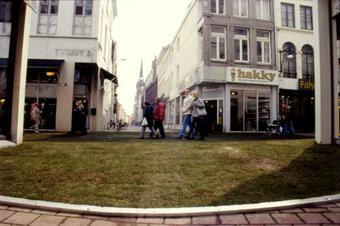 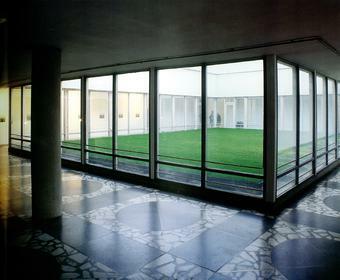 Consisting of a grass lawn, the artwork has been installed in four sites to date: Vilnius, Lithuania, 1998; Frankfurt am Main, Germany, 1999; Ghent, Belgium, 2000; and Chicago, USA, 2000. 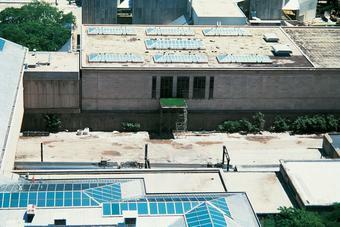 Located in museums or in pedestrian streets, Succession can either be installed on ground level or, as shown, elevated on scaffolding several meters above ground.